Armory Primer has been around for quite some time now. About 7 years ago you couldn't convince me that anything was better than Games Workshop's Chaos Black primer. Now that GW primer is $15 for a single can, it's no longer a sensible option to pursue. Actually I quit my relationship with GW's Chaos Black Primer when it hit the $12 per can price range a few years ago. Since then I've been using a variety of other alternatives. Armory is one of the options I've pursued. 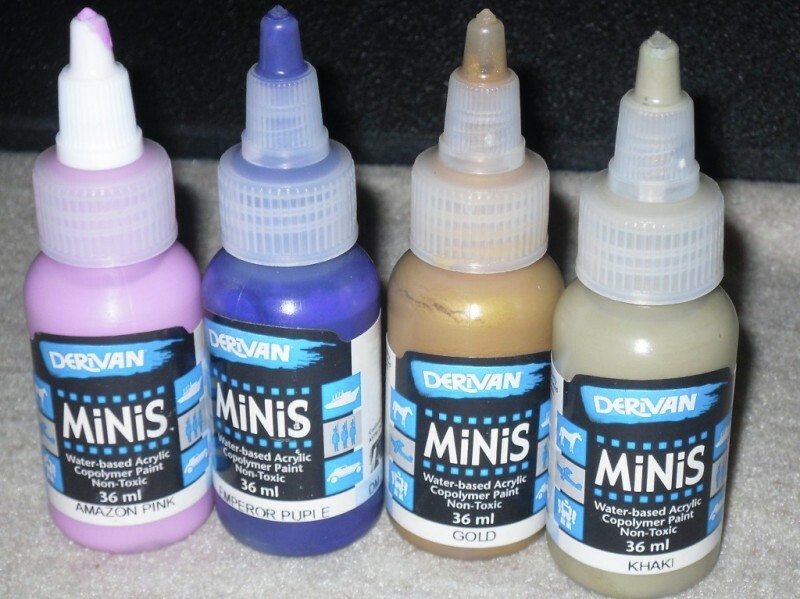 I've used quite a few cans of their black primer, and a couple of cans of their white primer over the past few years. The biggest draw for me was the price, and they also had a good reputation at one time. At $5-$6 per can I figured I couldn't loose. 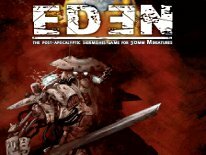 I also had heard good things about it back in the early 2000s, but then GW primer was only $8-$10 a can, and I was too smitten with GW's Chaos Black to even consider another alternative then. Back then $2 per can less just wasn't a big enough incentive to pull me away from Chaos Black. For the most part Armory Black goes on rather well, IF the atmospheric conditions are right. It's not as deep and dark black as Chaos Black from GW, but it's dark enough that it will do the trick. I also had no problems with a can of Armory White primer that I used back in early Spring. It covered well, and offered a rather nice finish. I've primed quite a few entire armies with their black primer too. During the Fall and Winter months both I absolutely loved this stuff, especially since it was half the cost of all the other alternatives. Then Spring broke. Humidity started to factor in, and things turned for the worse. With an aerosol-based primer, and especially aerosol-based varnish, humidity tends to screw things up really bad. Some primers are a little more tolerant of humidity, and only a few seem to work reasonably well even in 75-80% humidity. Armory isn't one of them. I can't count how many times it ended up going on fuzzy, instead of smooth during the Spring and Summer months. The fuzzy effect is nasty too. It looks literally like fuzz, and once dried a lot of the primer comes back off like chalk, or as a powder. It's messy, and it's really next to impossible to fix, or to paint over too. The only alternative is to strip the models right away, and re-prime them again when the humidity is lower. The problem with Armory is that it's less tolerant than most other primers when it comes to humidity too. In the Summer months I've been forced to waiting until late at night to prime. Once it cools down, and the humidity and temperature both are lower is the only time I'd consider to even attempt using aerosol-based primers. Even then, I still sometimes end up with fuzzy results with Armory. I live on the East Coast, near Pittsburgh, PA, and humidity is murderous here. This summer has been really bad too with all the record temperature and humidity highs. I've however had no problems at night using the Army Painter's Matte Black Undercoat aerosol primer, as it's more tolerant of humidity than Armory. It gets worse too. Over the past six months I can't count how many simply bad cans I've ended up with. To define bad cans, I'm talking about a can that is full, feels full, is brand new, but simply won't spray! Another can as recent as the other day sprayed a few times, and then completely refused to spray anymore. It was brand new, and full as well. Adding insult to injury, this most recent defective can is a replacement can that I was sent to make up for the last defective can I was shipped! I'm done with this garbage. It's clear that quality control, and general manufacturing quality of this stuff has changed greatly over the past six months now. Armory used to have a good reputation. Today you can't punch “Armory Black Primer” into Google and not find tons of forum posts where others have had the same fuzzy results I've had with it too. Many have claimed to end up with the fuzzy results without extreme humidity present, just as I have as well. The worst part is there's no one to yell at, or to complain to about the problems that exist with the product. There's no parent company listed on the can, all it says is that it's distributed by Alliance Game Distributors. Avoid this stuff like the plague. I should have known better the first few times I had problems with it, but I kept going back. At just $5-$6 per can, it was too good of a deal to pass up, and I couldn't stop myself. That's the problem with Armory Primer, it's too cheap to not want to use it, especially when the next best alternatives are twice the cost. And when it works like it's supposed too, it does offer a nice result. Anymore Armory Primer is like an unsavory woman, she's too easy to pass up, as she's a cheap date, and you know what the end result will usually be, but you're just not quite sure where she's been, so it's hard to tell what you'll really end up with once the night is over. Now that I've ended up with numerous bad cans in a row, it's pointless for me to continue attempting to use this stuff. I can deal with the fact that I live in a bad region humidity-wise, I can't help that. I can't fault a product completely because of the atmosphere where I live either. I however can't overlook the fact when a product is simply defective, and quite frankly, has turned into a total waste of money and time to attempt to use it. It's like rolling the dice every time I've purchased a can of this stuff over the past six months. Will it fuzz my models? Will it go on nice today? Will this new can be DOA? Armory Primer is totally unpredictable anymore, even when the atmospheric conditions are right. I'm normally not one to actually cover a bad product intentionally either. If something is usually this bad, I overlook it and don't attempt to cover it altogether. I feel a bad review is a waste of time, and people would rather read about something they can make use of, or something they'd actually enjoy. I however felt this review was needed, because I've seen this stuff everywhere lately, and it pains me to think someone will think they're getting a great deal, only to get it home and realize how much of a waste of time, effort and money Armor Primer really is. 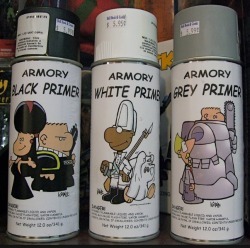 No primer should be 'Pray and Spray”, and with Armory that's the case more often than not anymore. Life is not the only thing that's like a box of chocolates, with Armory Primer you don't know what you're going to get either Forest!